My group of girlfriends would hold each other accountable to the little nugget above when we were all still swirling around the dating scene. I'm back in touch with it in motherhood. Mostly because time is precious and priorities are clear. And energy and headspace spent on people is the most valuable. There are some people and projects who I am in the habit of giving to out of history, obligation or expectations. But as I round into the third trimester with a potty-training toddler (more on that when I'm out of the woods!) and a husband that works around the clock for our family, I'm conscious of where I give and to who I give. I've talked about practicing saying no before but equally, I'm thinking about what I push myself to say yes to. My husband was working on employee reviews these last two weeks and while I don't think soliciting 360 reviews from the people in my life is reasonable, it did remind me that it has been a while since I've done an audit on who fills our day to day (social media feeds included!). 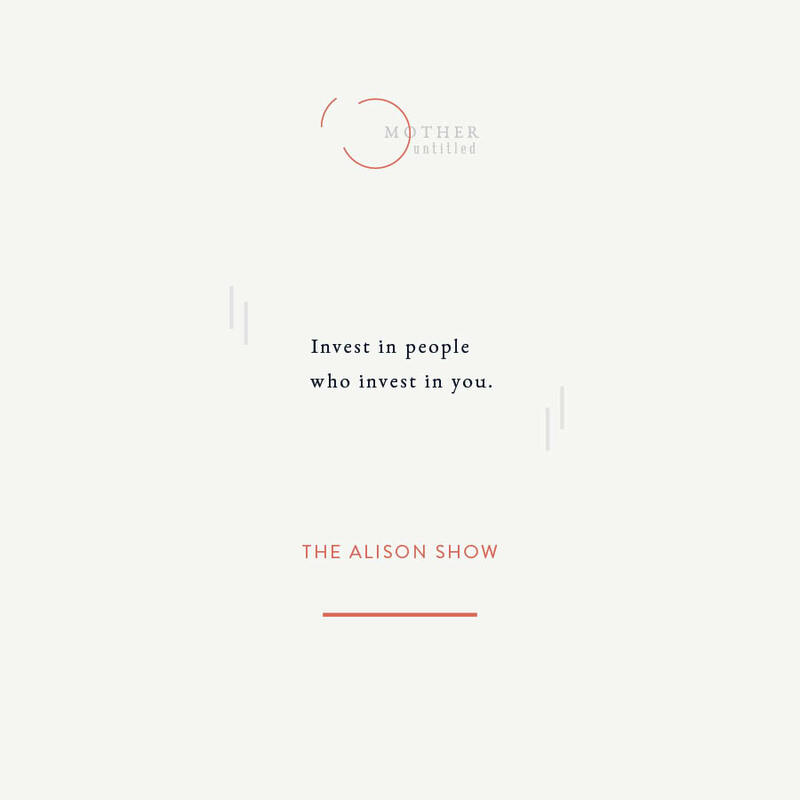 It's easy to get stuck on the couple of folks who do more taking than giving but more actionably, I am really seeing the people in my life who give generosity, positivity and empathy. I want to make sure I'm investing there. Part of that means breaking rhythms. I want to make sure I'm prioritizing quality summer time as the three of us instead of defaulting to giving too much of our energy elsewhere. I need to FaceTime my own parents more often which often falls to the wayside during the week and especially the weekends. I need to make time for that breakfast with a former colleague who has always been my biggest champion. I want to organize that weekend away with a girlfriend and her family who consistently bring so much humor and sincerity to our time together. I want to email and comment and cheerlead all those social media contacts, some strangers, some new friends, who are supporting Mother Untitled. These things tend to come up and then we get sidetracked so I'm taking the month of August (which happens to be my birthday month) to focus here. Maybe it'll birth new rhythms that I'll be re-evaluating next year around this time, but for now it's just about making little shifts to fill our life with good things and give more to the people who give back to us.